If you’re like a lot of people, you probably hit the snooze button on your alarm clock every morning. Your demanding job, sleepless nights or stress and anxiety mean that you don’t always go to bed when you should. So, it’s not surprising you feel so tired when your alarm goes off in the morning. Naturally, you hit the snooze button. But, what you might not know is that the snooze button will make you feel more groggy than if you just get up. You’re actually better off setting your alarm a bit later and having an extra 10 minutes sleep. But don’t sleep in for too long. 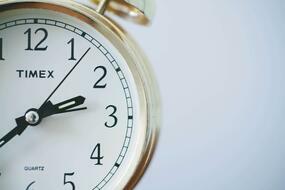 Not only will you be late, but sleeping for too long puts your health at risk. How Does The Snooze Button Affect Your Health? Hitting the snooze button over and over is going to make you feel extremely drained. What’s more, if there’s no genuine motivation to get up, you end up sleeping in. Long sleep periods of more than 9 hours, may affect your health similarly to short sleep periods. In fact, research shows that long sleep may increase your chance of getting dementia, cause memory loss and weight gain. A recent study demonstrates that long sleeping times leads to weight gain. Because of this, sleep duration has been added to the board of determinants that lead to weight gain and obesity. Plus, this study found that both short and long periods of sleep are related to an increased danger of getting Type 2 diabetes. When compared with 7 hours of sleep every day, 6 hours resulted in a 9% increased risk and more than 8 hours caused a 14% increased risk of diabetes. Which means, it's a fine line between too much and too little sleep. It turns out sleeping in isn't so amazing after all. But what about sleeping in to catch up on lost sleep. Imagine a scenario where you're extremely worn out following seven days of little rest. Clearly, you have to make up for lost time. While you may think having a major end of the week sleep-in is the appropriate response, it's really not. The most ideal approach to catch up on sleep is to have an additional hour or two every night over a more extended timeframe. For instance, an additional hour every day over a week or even over a month. Here's more guidance on the best way to catch up on sleep. You may think hitting the snooze button just effects how late you’re going to be. Actually, it has a huge effect on your brain and body. That’s on account of you falling back to sleep and entering the beginning of your sleep cycle. Your body starts to release hormones that trigger deep sleep. So, the beginning of the sleep cycle is the worst time for your alarm to go off again. And, you'll wind up feeling like you've had a terrible night's rest. Despite the fact that you may have slept really well. Plus, when you hit the snooze button your body and brain get confused. Shortly after being jolted awake, you're sending a message that it's an ideal opportunity to return to sleep. Also, if this continues for at least 2 snoozes the confusion increases. And you end up suffering from extended sleep inertia. Sleep inertia is that worn out, sluggish inclination you have when you first wake up. As a rule, it goes on for around 15-30 minutes as parts of your body and mind experience the process of waking up. However, that’s only if you wake up towards the end of your sleep cycle. Recent research has discovered that waking in the early sleep cycle or during deep sleep can cause sleep inertia to keep going for 2-4 hours. In this way, if you hit the snooze button and nod off, being jolted awake again may bring about extended sleep inertia. Why Do You Hit The Snooze Button? You're clearly hitting that snooze button for a reason. And, getting to the bottom of that reason is the first step to changing your habits. It could be one of numerous things. As your body heads towards the end of your sleep cycle, your temperature begins to go up. And if you wake up before the end of your sleep cycle you may feel cool and want to stay in bed where it's warm and comfortable. On the other hand, you may not get enough sleep because of stress, tension or depression. If you can pinpoint what it is that is keeping you up at night, see your Doctor and talk about your concerns. If you experience daytime sleepiness and you can't pinpoint the reason, you may have a sleep disorder. Many people experience the side effects of sleep-disordered breathing and don't even know they have it. Truth be told, 1 out of 3 individuals experience the side effects of snoring and sleep apnea, a condition which influences your breathing during sleep. Also, in extreme instances of obstructive sleep apnea, you may stop breathing during the night. Most sufferers of sleep-disordered breathing don't know they have it. It's generally a partner or relative who gripes about their snoring or who witnesses their breathing stop during the night. If you wake up feeling unrefreshed, experience daytime tiredness or have trouble concentrating, take our sleep self-assessment questionnaire now. 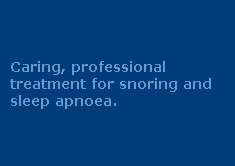 The outcomes of snoring and sleep apnea are critical. What's more, it's so simple to treat. Contact us today. Alright, it's actually easy to quit hitting the snooze button. Simply get up when your alarm goes off. Easier said than done right? Because when you wake up you're feeling extremely tired. Be that as it may if you start waking up at the same time every day then your body will send signs to rest at around a similar time every night. In the end, your body and brain will be so used to waking at the same time each day that you won't have to use an alarm. When you feel tired, go to bed. Check your sleep hygiene. Good sleep hygiene means you don’t feel so tired. Make sure you get out of bed in the morning by putting your alarm on the other side of the room. Remember, sleep disorders can be harmful to your health. If you feel really tired during the day see your Doctor. The negative consequences of sleep-disordered breathing are serious. Treatment is simple and will change your life. Call us now on 1300 246 637 or submit a contact form below for a free no-obligation chat with one of our friendly Sleep Therapists. Contact us now.